Grew is a Graph Rewriting tool dedicated to applications in Natural Language Processing (NLP). It can manipulate many kinds of linguistic representation. It has been used on POS-tagged sequence, surface dependency syntax, deep dependency syntax, semantic representation (AMR, DMRS) but it can be used to represent any graph-based structure. 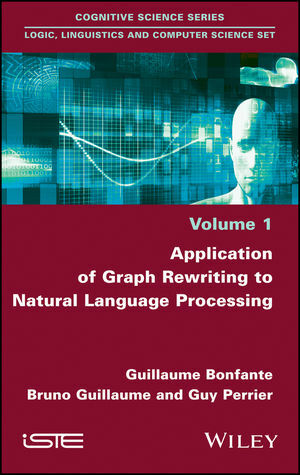 April 2018: Publication of the book Application of Graph Rewriting to Natural Language Processing. The chapter 1 is available from the editor website. The easiest way to try and test Grew is to use one of the two online interfaces. Online graph matching: Grew-match lets the user search for a given pattern in a corpus of syntactic structures (a tutorial is available to help learning pattern syntax). Online parsing: Grew-parse returns for a input French sentence, a set of linguistic representations (syntax and semantics) which are built using Graph Rewriting. Graph structures can use a build-in notion of feature structures. The left-hand side of a rule is described by a graph called a pattern; injective graph morphisms are used in the pattern matching algorithm. Negative pattern can be used for a finer control on the left-hand side of rules. The right-hand side of rules is described by a sequence of atomic commands that describe how the graph should be modified during the rule application. Subset of rules can be organized in packages and strategies define the way rules and packages are applied in graph transformation. Grew has support both for confluent and non-confluent modules; when a non-confluent modules is used, all normal forms are returned and then ambiguity is handled in a natural way.